NSG, Inc. Equipment Sales & Repair - NSG, Inc. The appearance of your facility makes a lasting impression on your customers. Clean floors are a critical part of creating this impression. 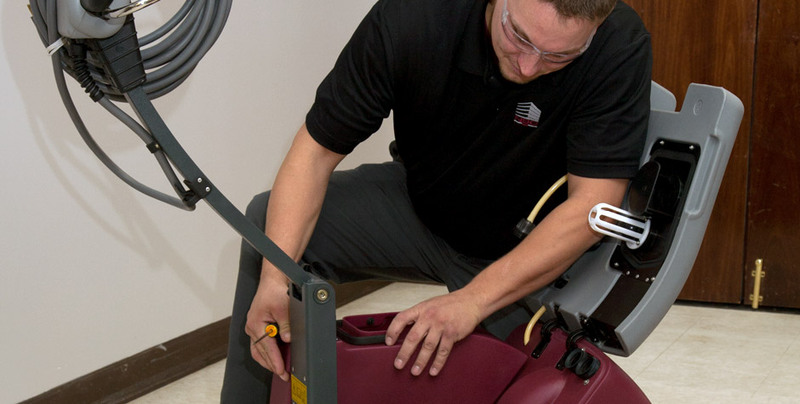 Well-maintained floors require well-maintained cleaning equipment. NSG’s professional service technicians will ensure that your equipment delivers optimal performance today and in the future, maintaining and protecting your valuable assets. Our equipment maintenance team has extensive training and expertise, years of experience and low turnover, enabling us to give you consistently exceptional service at highly competitive pricing. NSG is an authorized distributor and repair center for most types of janitorial equipment including burnishers, buffers, carpet extractors, auto-scrubbers, and wet/dry vacuums. We are a factory authorized repair shop for Minuteman International™, A.L. Cook™, and Kent™ equipment, and a Pioneer Eclipse™ distributor and repair shop. NSG’s 24-hour Emergency Service Technicians respond quickly and work efficiently to fix all issues. We provide live telephone assistance 24/7 to get you the answers you need. NSG service technicians are factory trained, professionally dressed and fully insured.